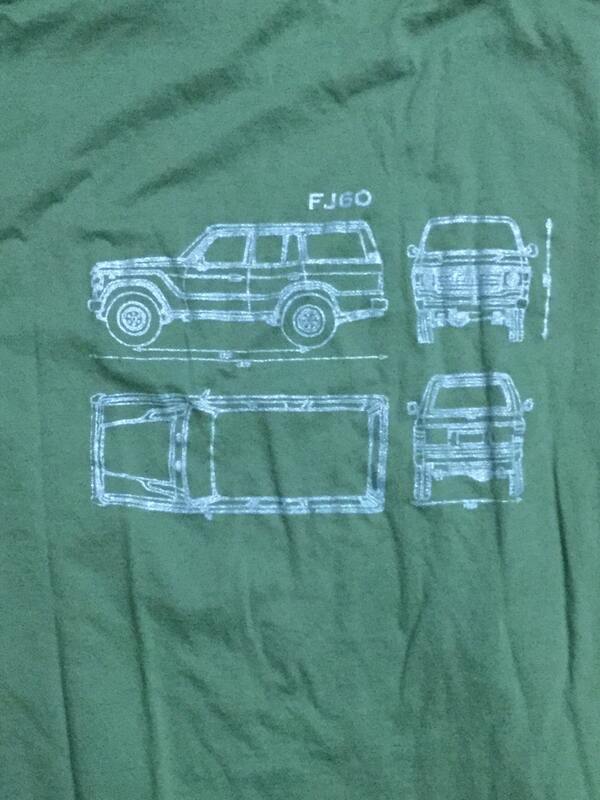 On the front of this army green shirt is a small outline of a FJ60 series Land Cruiser, on the back, is a blueprint of a FJ60. 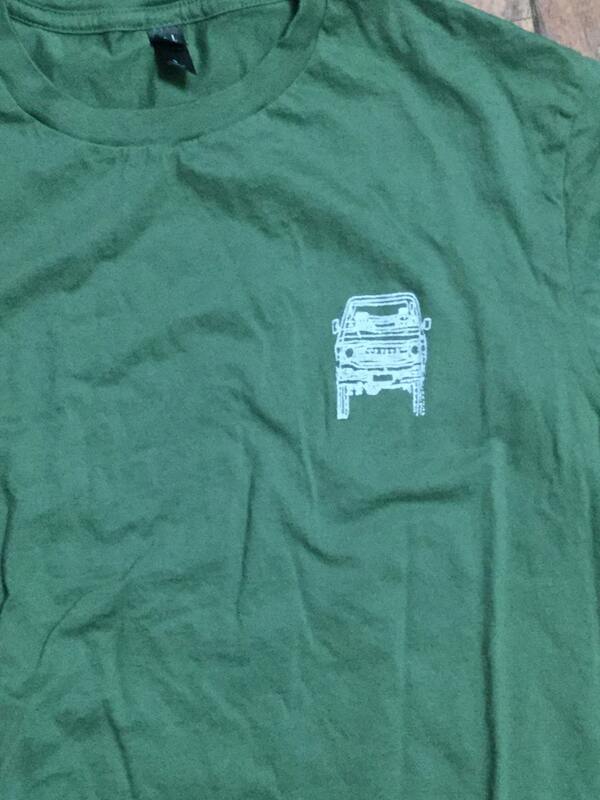 The ink on the back is a metallic silver. 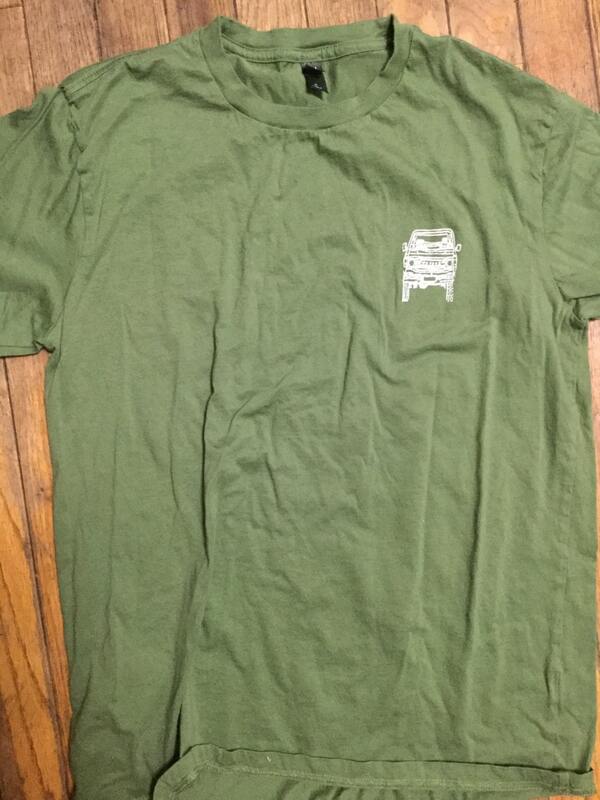 The size listed is what I have printed, it is an adult unisex shirt, it is 100% cotton and is a District made brand, the shirt is slightly fitted but fits pretty true to size. This is a small adult size. 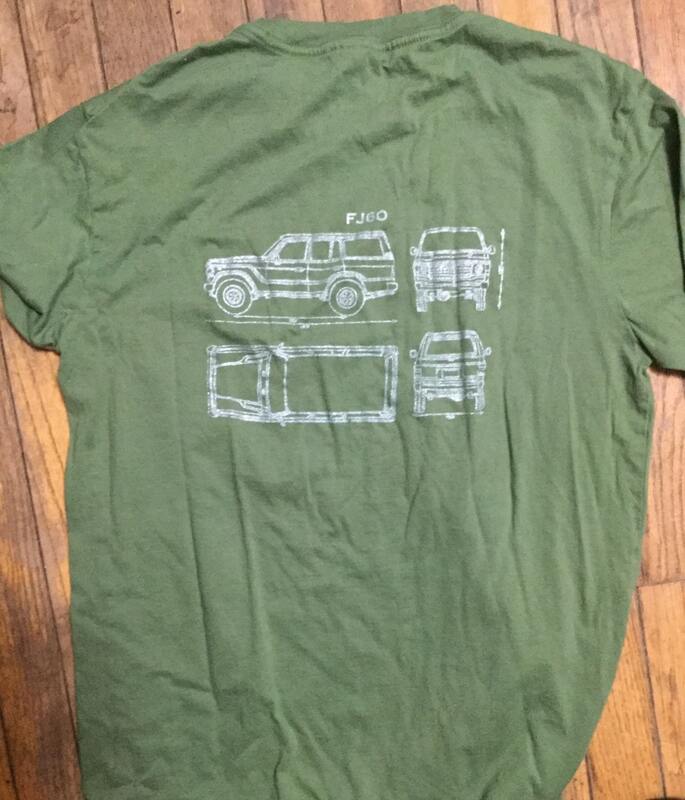 If you don't see the size or color you are looking for, let us know and we can make it for you.